Hey everyone! I hope you're all doing well! 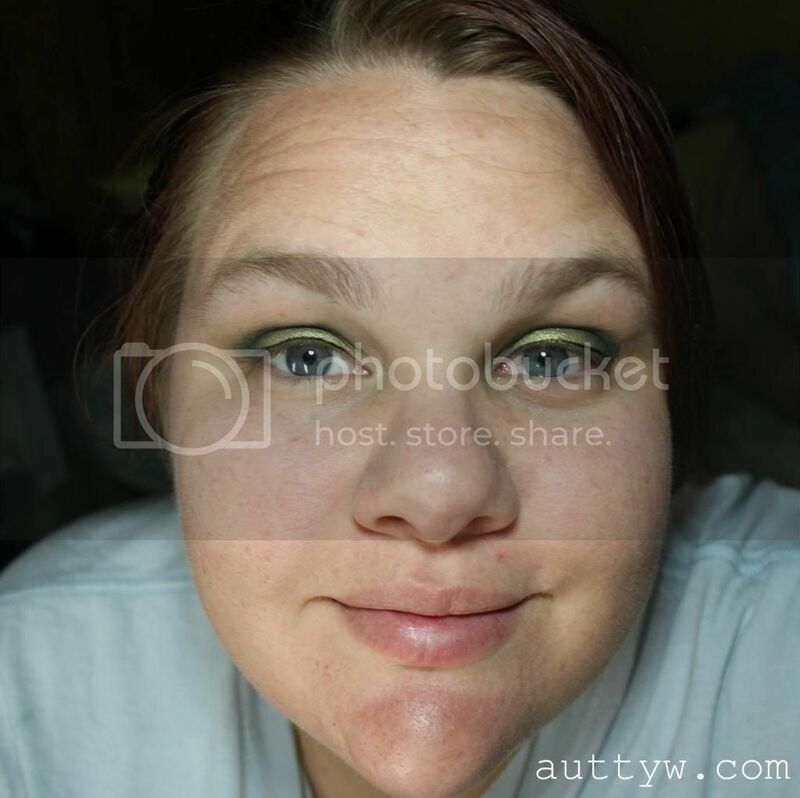 There was going to be MULTIPLE looks, using Drugstore and High end eye shadows but my eyes are really irritated and while I DID have multiple looks done, none of the pictures came out decent. BOO! I hate when that happens. ANYWAYS, enough complaining! Eugenia of Geniabeme.com put together this awesome link up with the Beauty Bloggers of Central Florida! It was pretty awesome for her to put this together! I know a lot of the girls are doing nails, but we all know how bad of shape mine are in, plus my hands are in worse shape. So I'd rather not show them till I can get them looking decent again. So I went with Makeup! Unfortunately, as you can tell Rebel transferred a little bit, which is okay with me. You, nor I wouldn't have noticed it if my eye wasn't closed. I didn't wear any mascara or eye liner in my waterline. I'm actually pretty impressed with how it turned out. This isn't what I had originally planned but I wanted to throw some drugstore shadows in there! 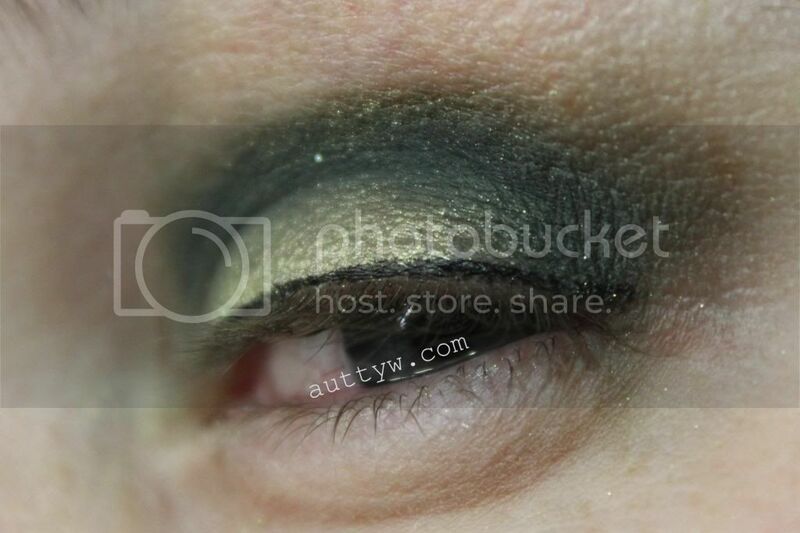 This was the orignaly look that I did, with a winged liner but I forgot to take a full face shot with both eyes. The only thing different about this look is I used Urban Decay Bender on the Lid instead of HiP Rebel. 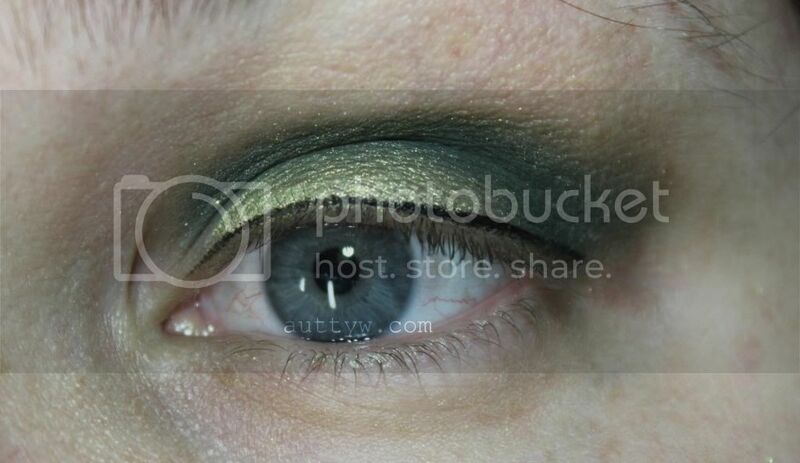 I also used UD Loose Eyeshadow Pigment in Grafitti on the lower lash line. I REALLY LIKED this one, but already had it taken off before I realized I didn't take a full face shot. Blogger fail. Boo. Anyways! What do you think!? 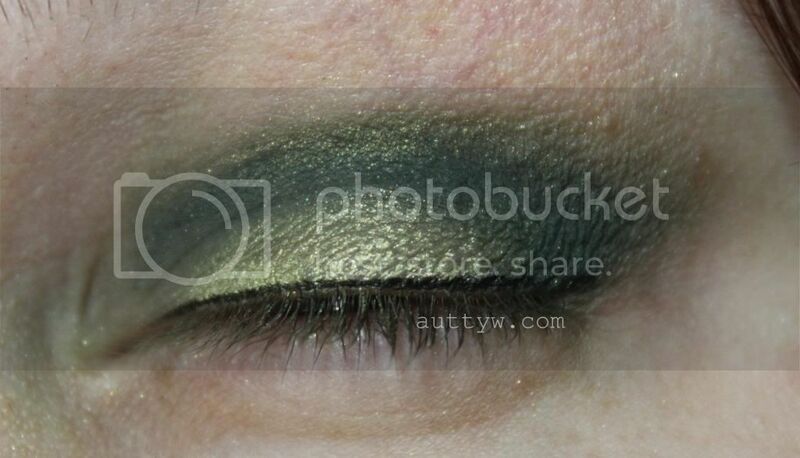 Will you be rocking green eyeshadow on St.Patricks day?! Great look! I will definitely be rocking a green look on St Pats! Golds and greens were made for your eyes, girl. You rock them beautifully. And, please give me your eye shape. Please and thank you. I like it! St. Patrick's day is a Monday so I might not have any makeup on (ugh, Monday is not my friend). But if I do, it'll be green. Thank you! Thank you for putting this all together as well! I'm glad I wont be the only one! I love green and gold and they look great on you! I think I like the 1st look for daytime and the 2nd for a super fun night out!!! Thank you! Both greens are gorgeous! I find the Milani primer is compareable to Urban Decay's Primer Potion. It's not as thick as UDPP though. I've got pretty oily lids and this doesn't crease on me. They're both actually greens, I definitely found that it photographed more gold which is okay with me! The shadow itself has a lot of gold shimmer in it. Thank you so much!! I definitely didn't think of it like that but you're definitely right!! OMG, I envy your super thin-lined cat eye! Beautiful look! The greens work so well together!